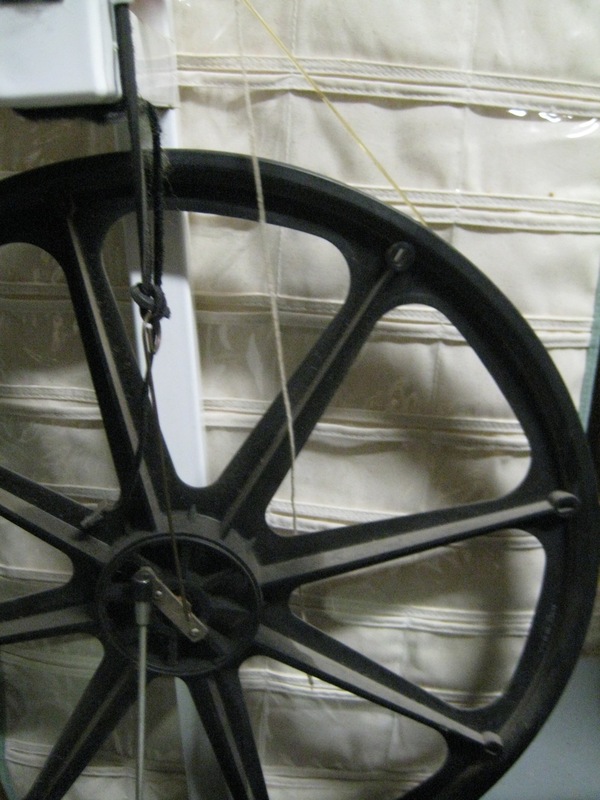 A quick look at the spokes on a wheel will tell you that enough triangles of the right size, inserted closely enough together, will make a circle. And, indeed, most of the Herjolfsnes dresses and the Moy gown have triangular insets at the center front/back seams as well and the side seams, and sometimes at other seams too (often in the guise of an angled cut to the piece itself). 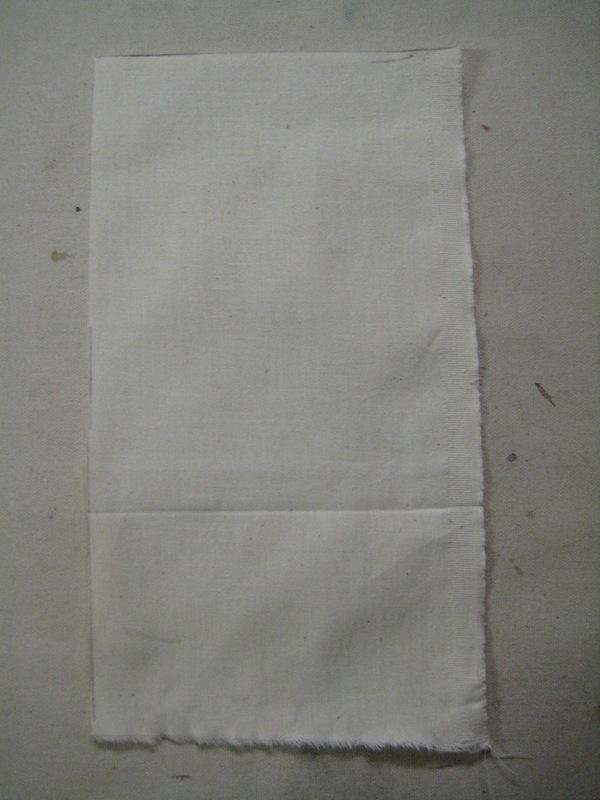 ...you can manipulate it, spreading the strips apart as though a triangular gore had been added. Notice that this puts a rough curve in at the top. My flat pattern teachers called this the “slash and spread” technique, and spent a lot of time repeating the mantra “cut to but not through”. 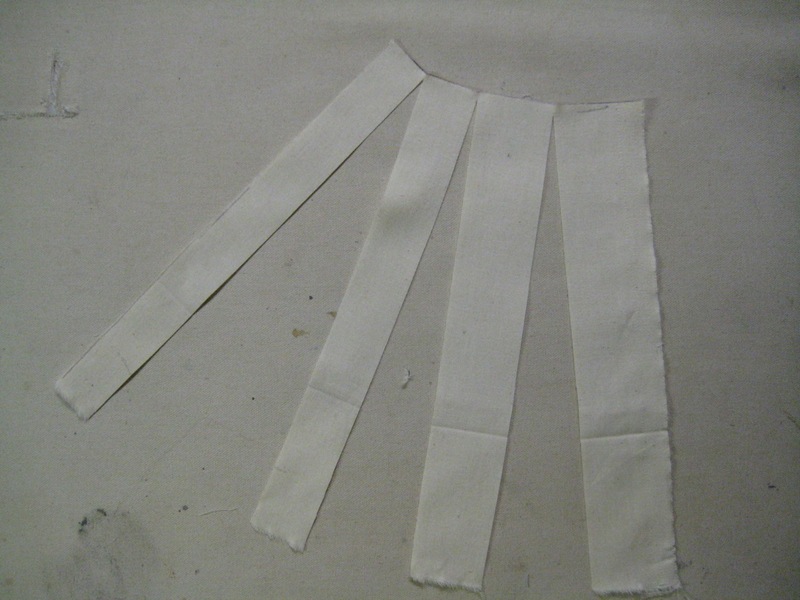 If you read my bit about why the basic bodice draft doesn’t work for everyone, then you know you can make a rectangle into a section of a cone by folding out triangles. This is the same thing, but we’re making a rectangle into a cone by adding triangles to the pattern. In both cases, doing it right means that all the lines that appear straight horizontal on the body are slightly curved on the pattern. 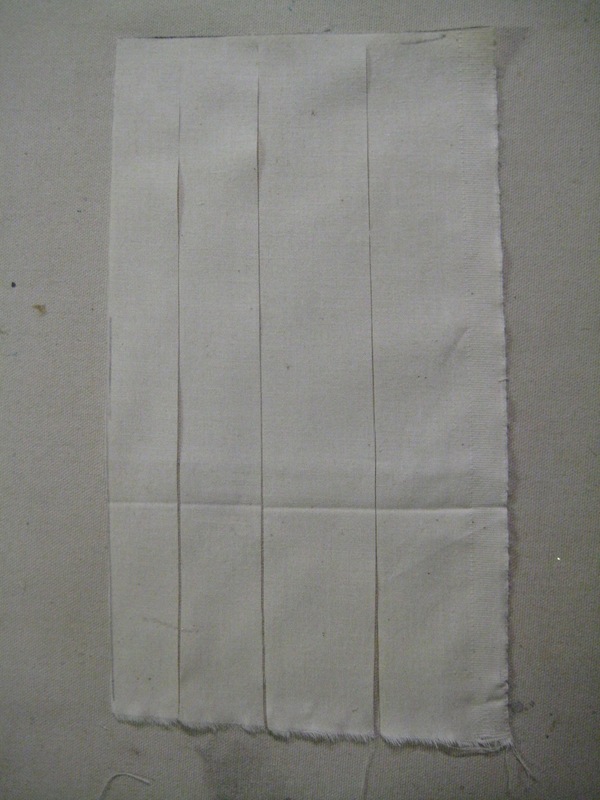 Now, I really doubt that tailors back in the day were using the slash and spread method. Materials were a touch more expensive, I hear, and waste was discouraged. Thing is, once you think to cut the skirts separately from the body of a gown, it’s just a teensy little leap to get to a proper gore. Ready? 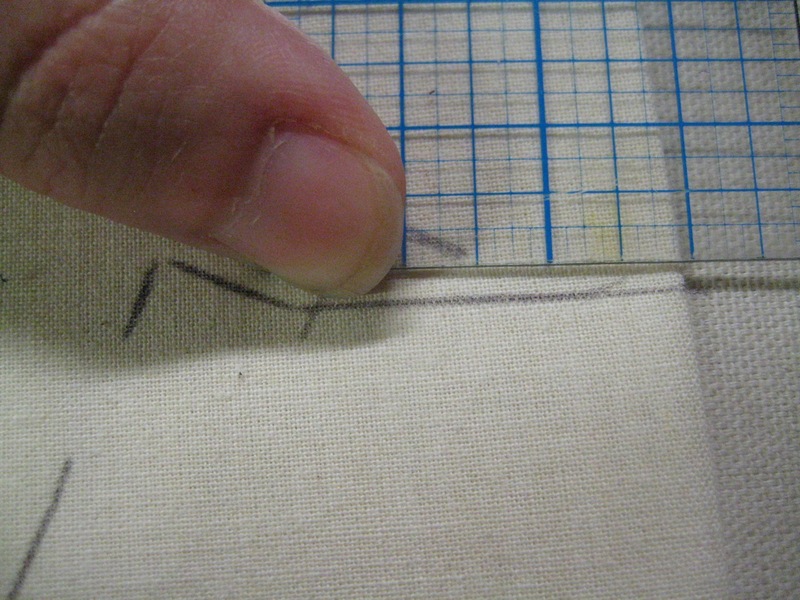 Using a straight edge, mark off a line following the angle of the gore. 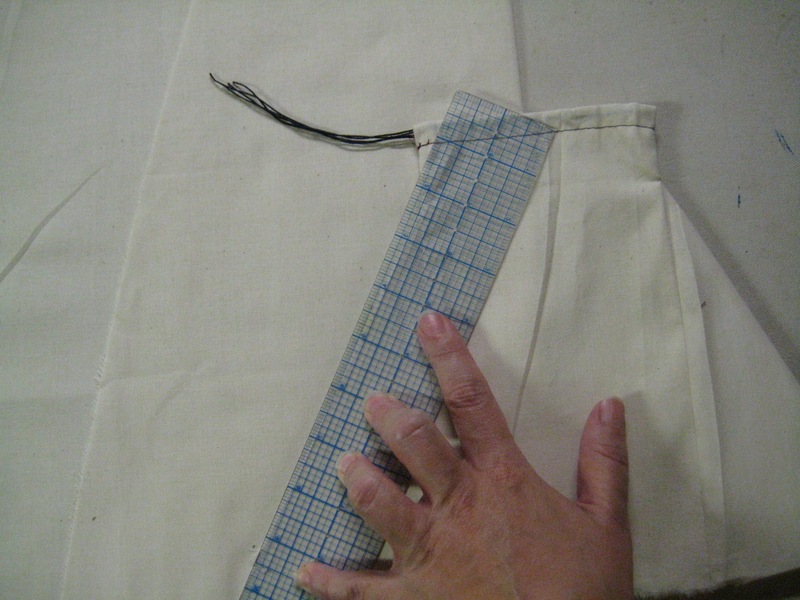 The line should match the length of the body of the skirt - notice that it extends above the current waist! Draw a line at right angles to the new side line, connecting it to the former waist line. This angle is the basis for the curve we need. Just like that, we’ve mimicked the effect of the slash and spread technique. 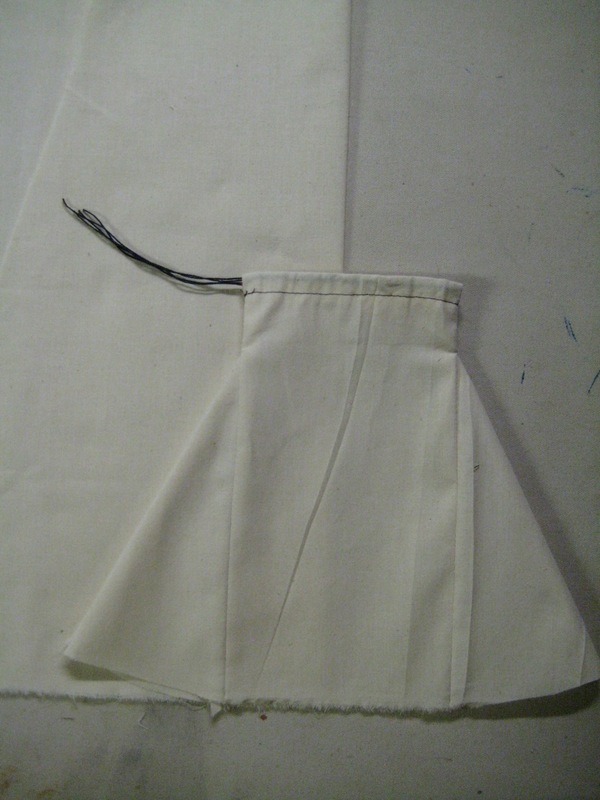 To make the waist curve, we just smooth out the angle between the two lines, just like we made the hem on the first gored skirt by smoothing out the weird bits with a gentle curve.